Well hello there and Happy Friday to you! I hope you had a great week, any fun plans for the weekend? After a trip to Columbus for a bridal shower last weekend and another trip coming next weekend I’m looking forward to relaxing at home a bit. Oh and going to help chaperone my husband’s high school Prom Saturday night, should be interesting. Follow along with the food and fitness fun on Instagram. Now for my latest edition of all the things I’ve been loving in food and fitness lately for Friday Favorites. Yogurt is one of my favorite afternoon snacks, just below hard-boiled eggs. I also love making a yogurt breakfast bowl and topping with nuts, seeds, fruit, granola, etc. 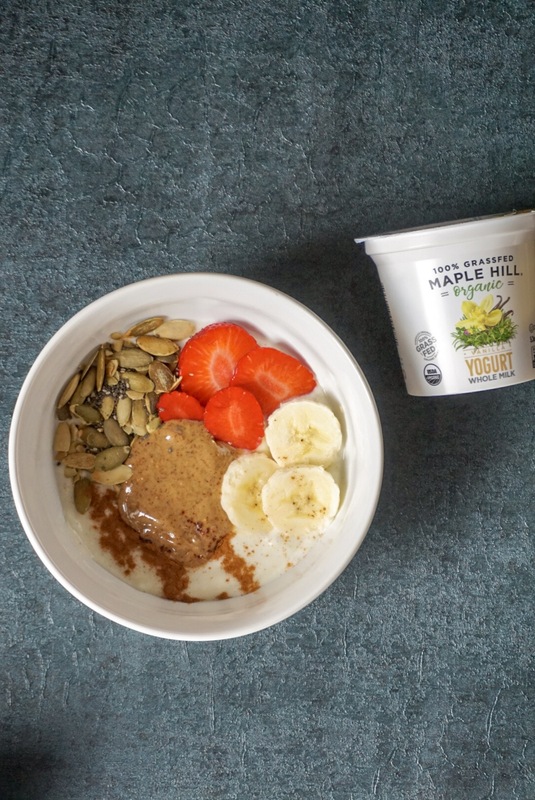 I recently was given the opportunity to try Maple Hill’s 100% Grass-Fed Organic yogurts. I don’t eat dairy every day, but when I do I be sure to eat the best of the best which is why I’m loving Maple Hill. The company is the original grass-fed dairy brand, started on a family farm in upstate NY. Since then they have expanded and use dairy from other family owned farms across NY. Why is grass-fed dairy important to me? It’s overall better for the cows, who are meant to eat grass not grains and better for our earth. Grass-fed dairy is also a better source of healthy fats and antioxidants. Now for the GIVEAWAY. As a blogger I’m often asked to try products and I only giveaway the ones I truly love and think you’ll enjoy as well. Maple Hill’s has offered to give one lucky Sweet and Strong follower a variety of yogurts and milk valued at $50. Head to this INSTAGRAM POST to find out how to enter. Good Luck! This past weekend I traveled to Columbus, OH for my friend and college bestie Kelly’s bridal shower. The morning of the shower she wanted to take the girls to one of her favorite workout classes at System of Strength., of course I was on board. The class was called In the Mix and was a mix (get it) of cardio and strength training bouts. The cardio was mostly plyometric movements using our body weight or the plyo boxes. For strength we had a variety of weights doing upper and lower body exercises. 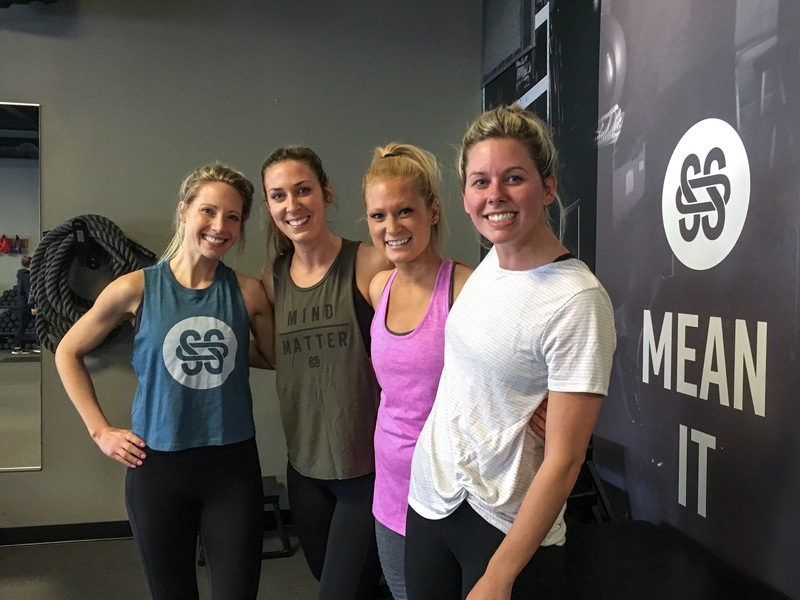 I love being motivated by an instructor and having workout buddies so It was a great sweat session and perfect way to start our Saturday together. Once we were all showered up after our workout we were on our way to Scioto Country Club for the bridal shower. It was great having the time with my college girlfriends as we only get together every so often. 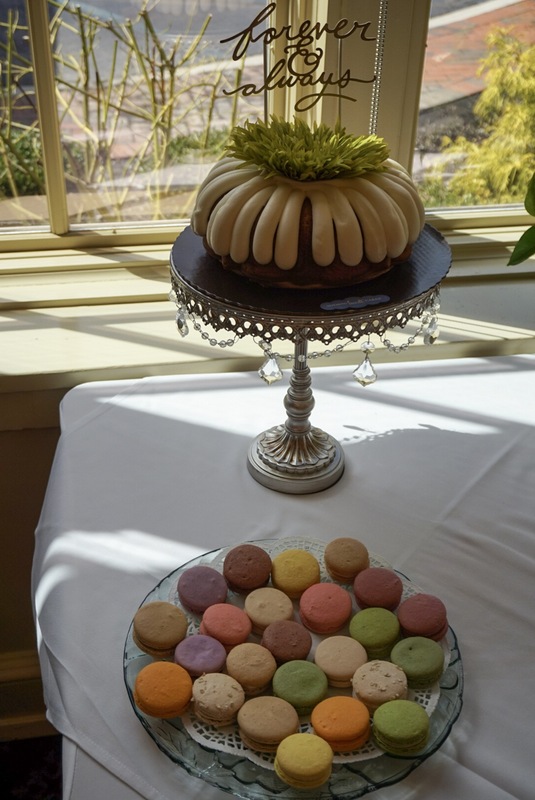 We drank wine, ate light appetizers, opened gifts, and had macaroons and cake. Oh and we froze in our spring floral dresses because it was 40 degrees, mother nature is clearly confused. 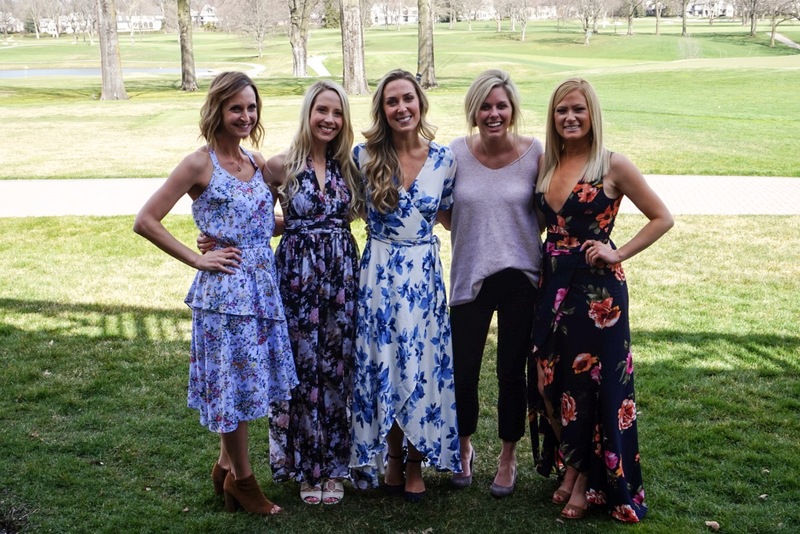 I’ll be with the girls again next weekend for Cait’s bridal shower and then we have bachelorettes and weddings to look forward to over the summer! 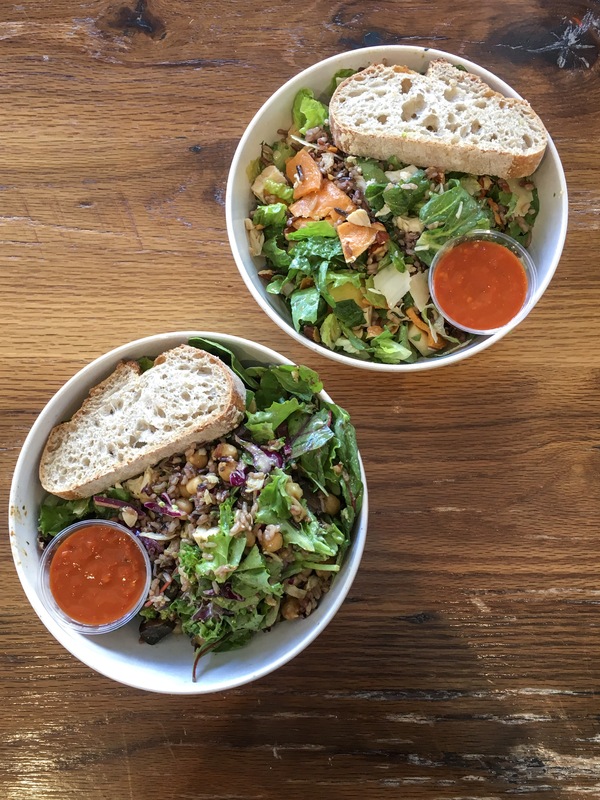 When I landed on Sunday Tom picked me up and we stopped for a lunch date at Sweetgreen. Tom always gets the Harvest Bowl and I like to build my own. I did spring mix, rice, broccoli, avocado, cabbage, chicken, mushrooms, and chickpeas with the pesto vinaigrette. So yummy! The red sauce on the side is their hot sauce. After lunch we walked around Old Town Alexandria for a bit, then before heading back to southern MD we both decided we had just enough room for once scoop of Nice Cream. We each had the milk chocolate chunk. 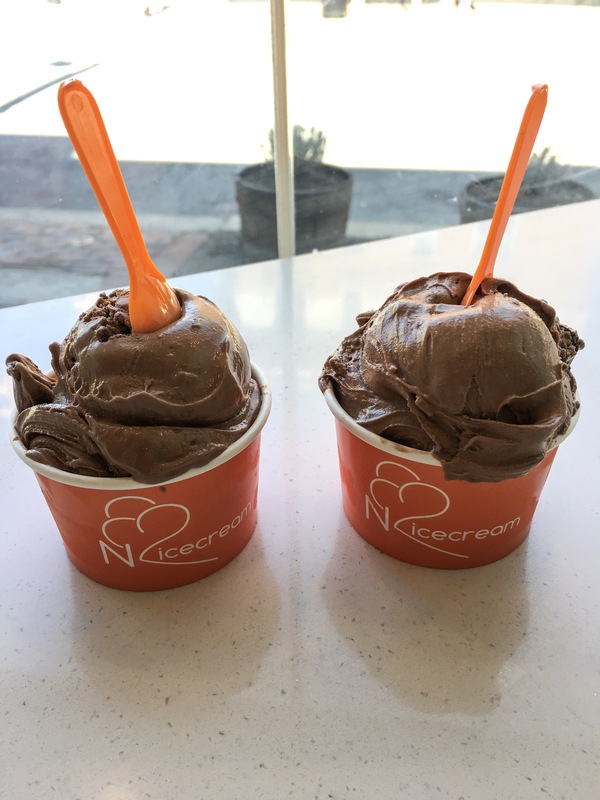 Nice cream uses liquid nitrogen to make the ice cream right in front of you and they change their flavors often so it’s always fun stopping in to see what they have. Does this day sound familiar because we did the exact same day date for my birthday, ha! HEALTH: I read this HEALTH Magazine article in the salon while getting my hair done and immediately when I got home I had to find and save the online version. It’s on time-restricting diets. While I’m not one to exactly follow any type ‘fad diet’ or strict intermittent fasting schedule, this article talks about the 5-2 diet. Five days of good healthy clean eating and two days of a few splurges, which is literally my lifestyle, hello weekends! It also talks about time-restriction and two-week cycling. In all, I love the concept because it’s about balance. You don’t have to give up your favorite foods to be on a so-called diet it’s a lifestyle. COOKING: The ‘Spotify of Cookbooks’ I will be one of the first people to sign up for this! Finding and saving recipes is one of my guilty pleasures. FOOD: Homemade Salad Dressings are so much better for you and so easy to make, love all 6 of these. FRIDAY FLASHBACK: Mix up your workout with this Cardio and Strength Partner Workout , the partner isn’t required, but is always nice to have a buddy. Hope you have a great weekend and hope that Spring temperatures have finally arrived in your area. 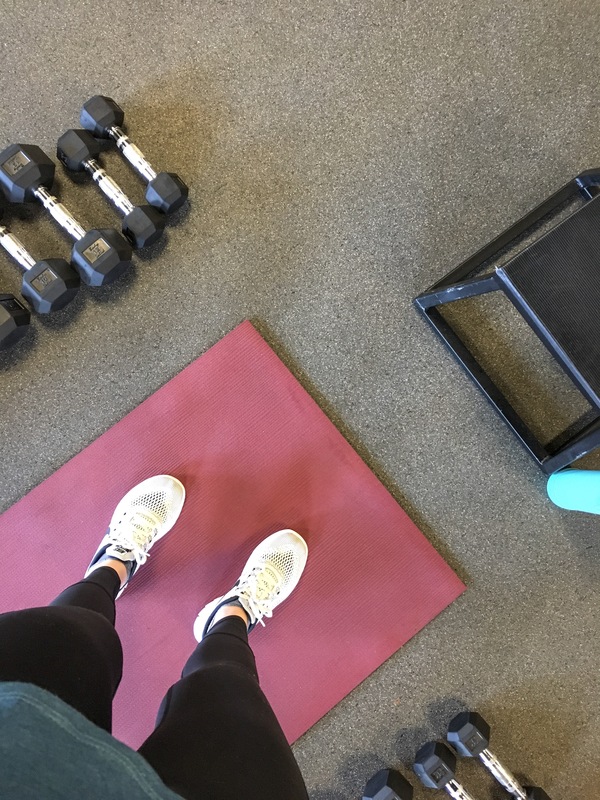 Linking up with Running on Happy & Fairytales and Fitness for the Friday Five. And Heather for Friday Favorites. Enjoy your weekend and be sure to read previous Friday Favorites posts here. What’s your favorite date day? 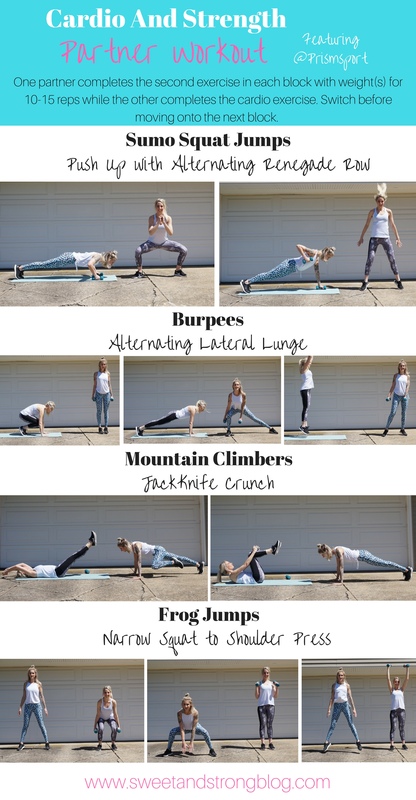 When was the last time you tried a new workout? Tell me something you’re loving lately. Sounds like a great week! Little lunch dates like that are always so nice. I’m becoming a bigger fan of day dates as I really like cooking at home and watching tv at night. Have a great weekend Emily! Yes love Chopt too, I’m so glad my hubby finally gave these restaurants a try at first he was skeptical it wouldn’t fill him up. Have a great weekend! Sounds like a great week! I usually like coffee dates, I don’t go out to eat much to be honest, I enjoy eating at home and I am soooo cheap. I definitely agree and enjoy saving money and eating at home. We usually save our eating out for once over the weekend. And yes coffee dates are so fun! Have a great weekend Patrick. I’d love to try that Nice cream. Thanks for linking up with our new Friday 5. The Nice Cream is so good! They have so many different flavors I want to try. My husband switched jobs a couple of years ago and when all 4 kiddos are at school (now that the 4 year old is in preschool this finally works), we have started meeting for lunch dates once a week. I love it! That’s such a cute idea! Lunch dates are totally my new fav! That nice cream looks so creamy & delish – you’re making me want ice cream right now! 🙂 And I love getting together with college girlfriends for special occasions. It’s always great to catch up & have fun together, especially when you don’t see each other that much! The nice cream is so good! And I love that they always change their flavors so it forces me to try new things, lol. And finding new friends as an adult is so hard, I’m so grateful for my college girls! I go through phases with yogurt too, but it’s definitely one of my favorite snacks!